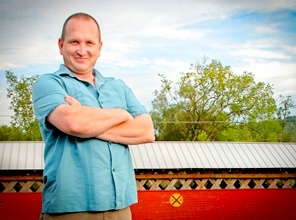 Energy Loan Borrower Story | Carbon Zero, LLC and AOE, Inc. Carbon Zero, LLC and AOE, Inc. 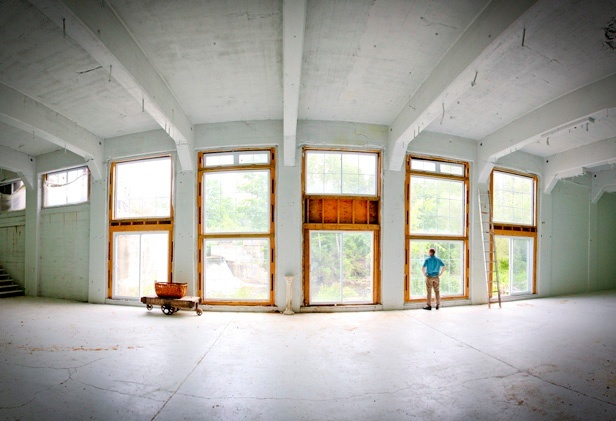 In 2009, Bill and Maria Scully formed Carbon Zero, Inc. to purchase and clean up the abandoned Vermont Tissue Mill on the Walloomsac River in Bennington, and rebuild the hydroelectric dam there. 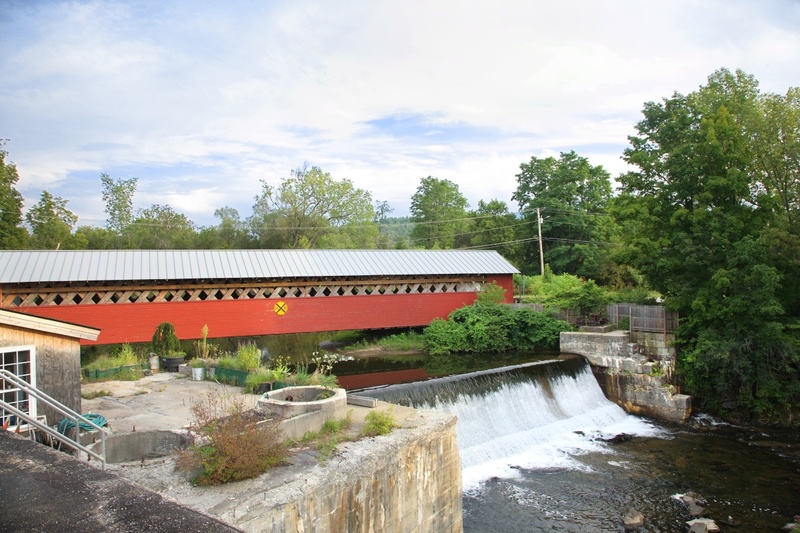 The Walloomsac River has a long history of use for waterpower, having been the site of several mills in the 18th, 19th and 20th centuries. The Carbon Zero project site itself has been used for waterpower since 1784, when the original paper mill dam was constructed slightly upstream of the current dam. Eventually, the Scullys plan to renovate the mill at the site for residential and commercial space. 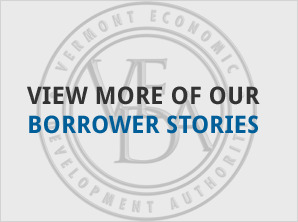 In September 2011, VEDA approved a Brownfield Program loan to partially fund the completion of a Corrective Action Plan approved by the Vermont Agency of Natural Resources for the contaminated mill property. 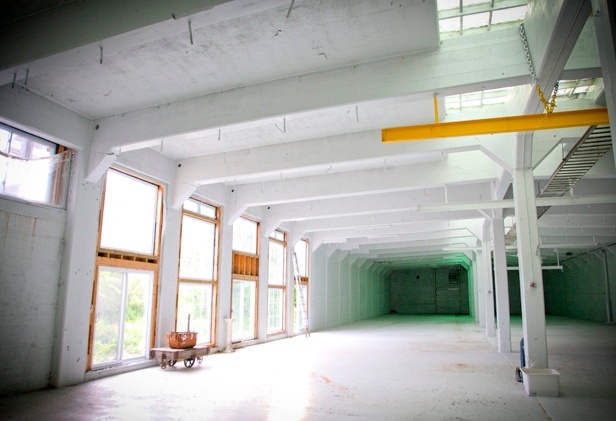 In 2013, VEDA approved a $705,170 Commercial Energy Program loan to partially fund a $1.7 million project to reopen a 360 kW hydroelectric production facility at the former mill property. When completed, two new hydroelectric turbine-generators (totaling 360 kW) at this run-of-the-river facility are expected to generate 1,454,000 kW of renewable electric power annually in a new powerhouse adjacent to the Mill. The project also includes repair of the existing tailrace; installation of equipment to monitor and control the dam and power production; conversion of the DC power produced to AC current; and connection of the rebuilt hydroelectric station to Green Mountain Power’s power network. 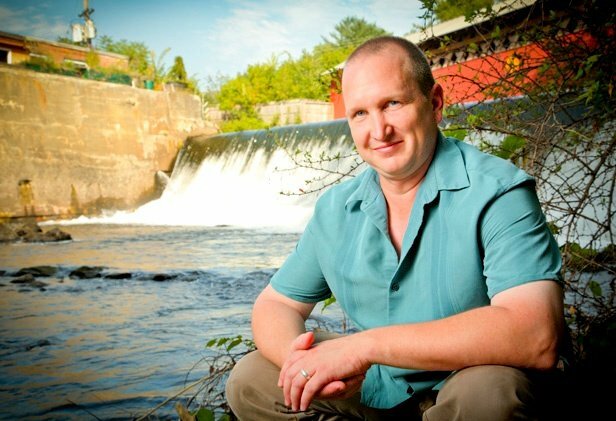 The power produced by the dam will be used by a net metering group consisting of, at least initially, Bill and Maria Scully for their residence and other affiliated companies at renovated mill, Powers Market, Allegro Ristorante and Pangaea Restaurant as well as the Town of Bennington. The power produced will be sufficient to power 211 average Vermont homes and will help avoid the release of 658 tons of carbon dioxide into the atmosphere annually.